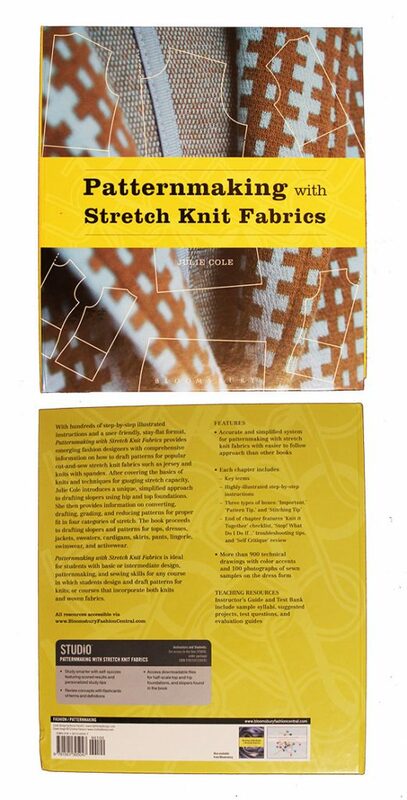 Today I want to talk to you about a book called Patternmaking with Stretch Knit Fabrics by Julie Cole. Maybe you’ve already heard of it.? It was published in 2016 by Fairchild Books. I actually got this book over a year ago as a reference for knitwear patterns, but I’ve been so good at avoiding knitwear, that I only recently picked it up from the bookshelf and started reading. It was more in the spirit of conquering new ground. The result: now I’m really tempted to experiment with knits! It’s such an amazing book! So of course I decided to write a blog post about it, too. It’s been a while since I wrote a review anyways. 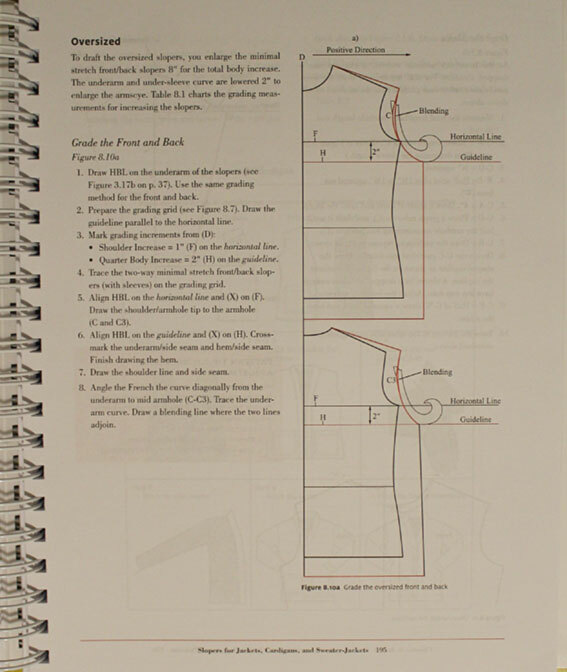 Patternmaking with Stretch Knit Fabrics is a beautiful, hardcover, spiral bound book. It has a total of 416 pages with hundreds of pictures and illustrations. 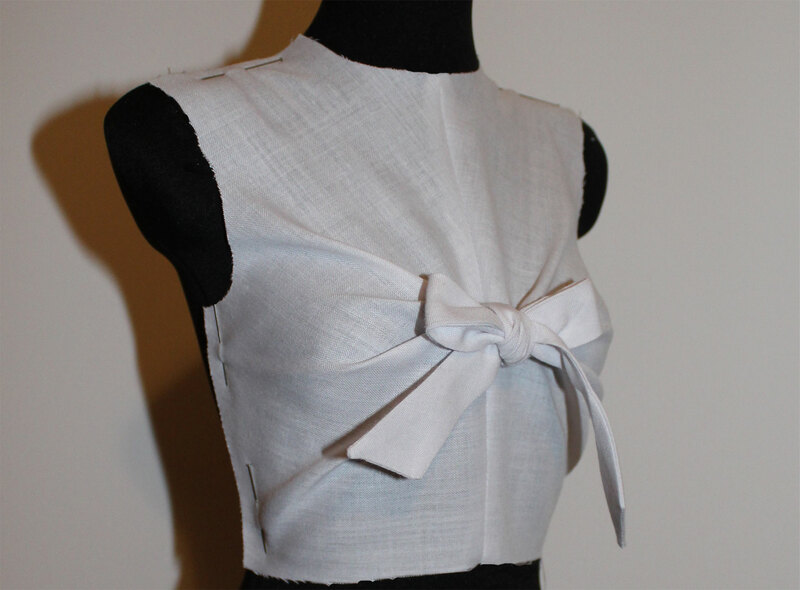 I think it’s a complete package; all you need for drafting patterns for stretch fabrics, starting from scratch. 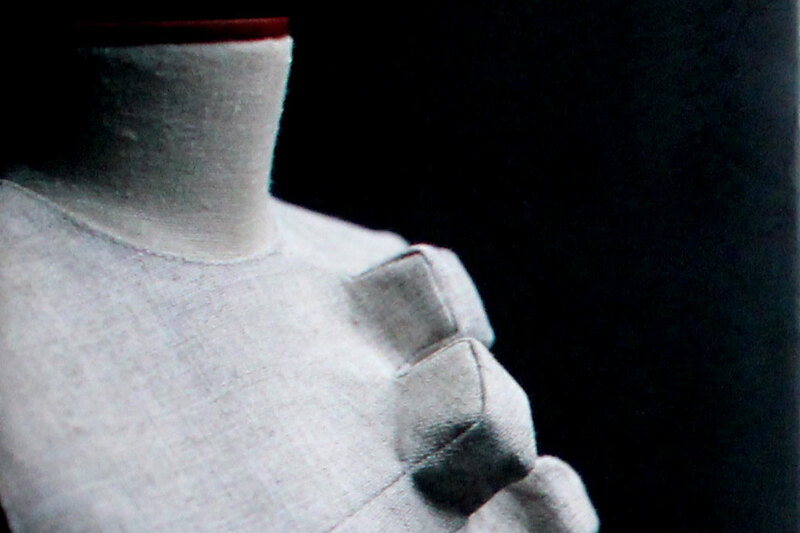 You can use Patternmaking with Stretch Knit Fabrics to really study the subject. At the end of each chapter there’s a checklist about the most important points of the chapter, quiz-questions to test what you’ve learned and a little troubleshooting section. All the measurements in this book are in inches. For me, this is an extra challenge as I first need to convert the measurements in centimeters. But in the end, you are drafting the patterns to your own measurements, so you only have to convert a part of the numbers. 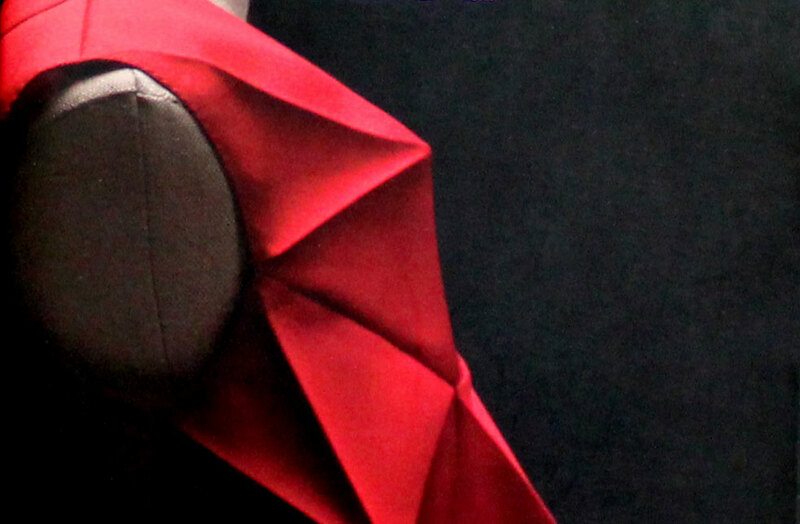 Like I said, Patternmaking with Stretch Knit Fabrics gives you a ton of information. Julie Cole starts by explaining the various types of knit fabrics, how to choose a proper fabric for your project and how to calculate the stretch capacity of the fabric you have. There’s a stretch gauge in the book you can use to determine the amount of stretch with a small sample of fabric. 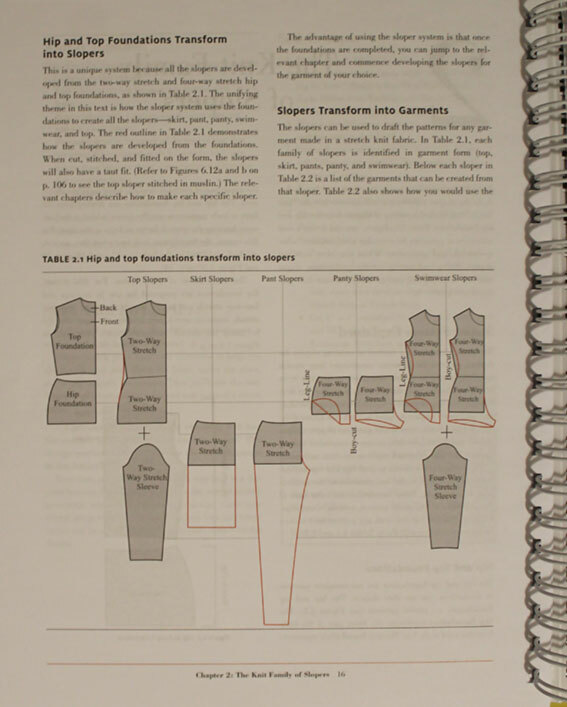 I think you could even get away with not having almost any prior patternmaking experience, because the book explains all the patternmaking terms, tools and techniques. How to true and mark the patterns and other basics. 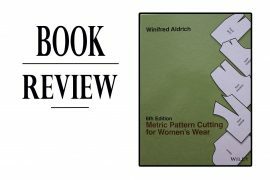 It gives you instructions on how to prepare the fabric for cutting, how to place the patterns on it, and how to cut and sew the garments. But most of all, this is a patternmaking book. 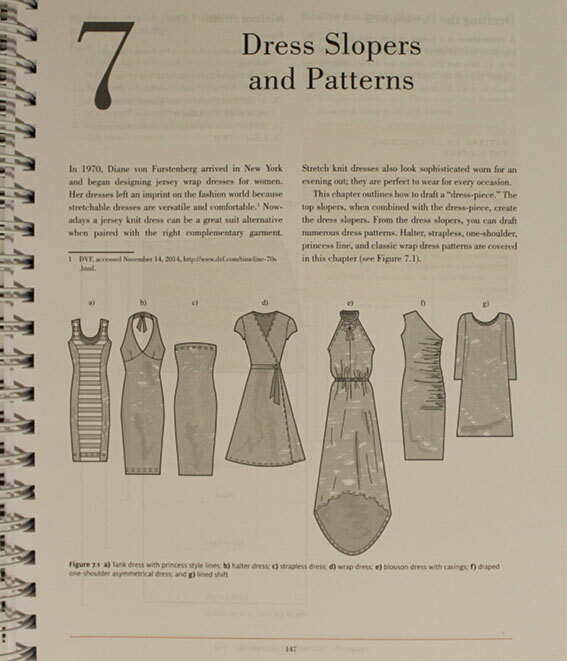 Drafting the patterns, as explained by Julie Cole in this book, starts from the top and hip foundations. 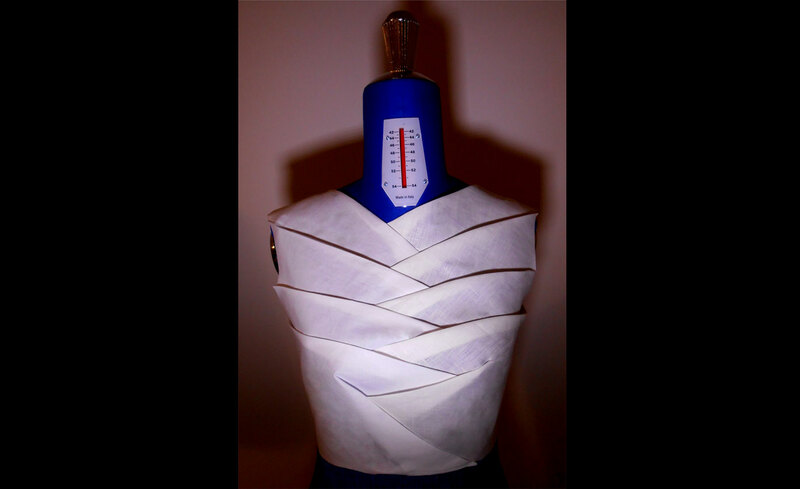 You can either work on your dressform or measure someone for a custom fit. You’ll then grade the foundations for knits with different amounts of stretch. So in the end you will have 4 different ”sizes” of the same basic pattern: a version for minimal-, moderate-, very- and super stretchy fabric. The foundations are also different for two-way and four-way stretch -fabrics. The first one only stretches horizontally, the second also vertically. This means your patterns will have different lengths. All the slopers in their turn are formed with these two foundations: uniting the two of them you get basic patterns for tops, dresses and swimwear. From the hip foundation alone you’ll get skirts and pants. And then you use the slopers to draft the actual patterns, like you would with normal basic patterns when working with wovens. So there are 3 phases in the patternmaking process. The idea is to make the slopers for different types of knits to keep them handy for whenever you need to draft a pattern in the future. All you have to do then is to check the stretch capacity of the knit fabric you’ll be using and choose the correct sloper for the job. 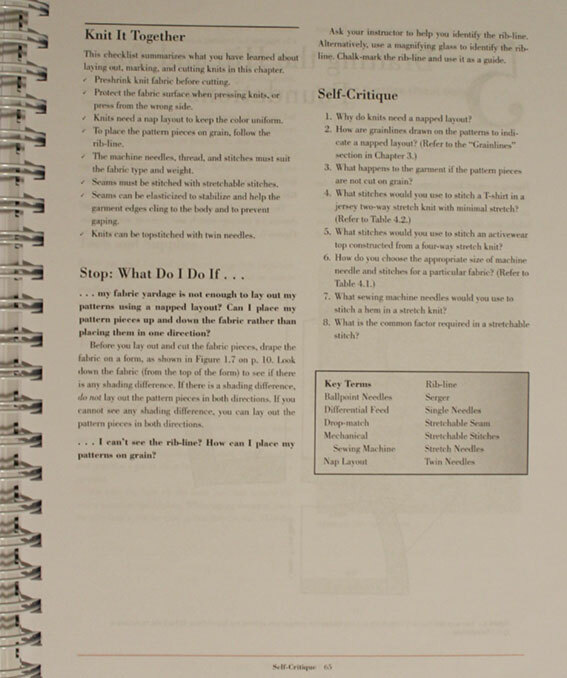 This book is not only about the basics of patternmaking. After all, there are over 400 pages. What makes it so complete, is the fact that it teaches you how to turn the basic patterns into a variety of different garments. Starting with the basic dresses, skirts, tops and pants, it goes on to explain also jackets, cardigans, lingerie and swimwear. There are notions on stylelines, drapes and different finishing touches such as pockets, linings, facings and neckline finishes. Here’s an example of different dress styles you’ll learn to draft. Personally I’m not too keen on tight fitting garments, so I was happy to see that Julie Cole included also oversized patterns. It basically just means that you grade the pattern bigger. Who should get the book? I recommend Patternmaking with Stretch Knit Fabrics especially to those of you, who enjoy making clothes with knit fabrics and who are curious to learn how to draft their own patterns. This is your perfect book! 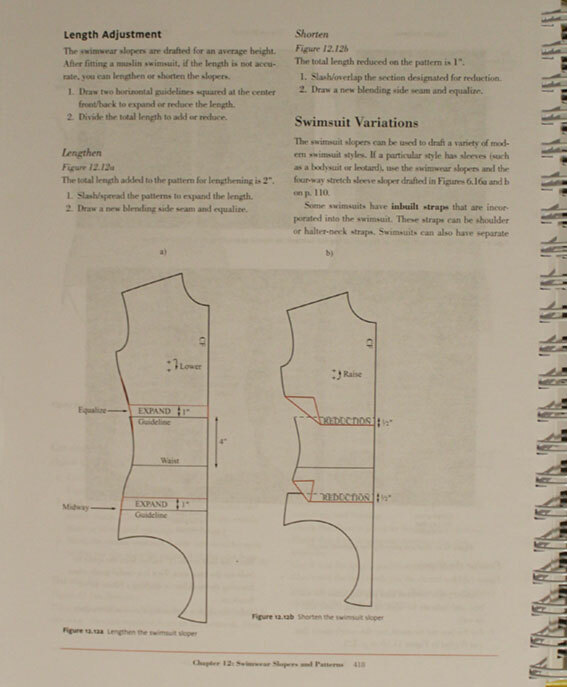 Otherwise, I also recommend it to anybody who hoards sewing- and/or patternmaking books (such as myself). This is a must-have in your personal library! Instead, those of you who already have this book, I’d love to hear your opinions, too.